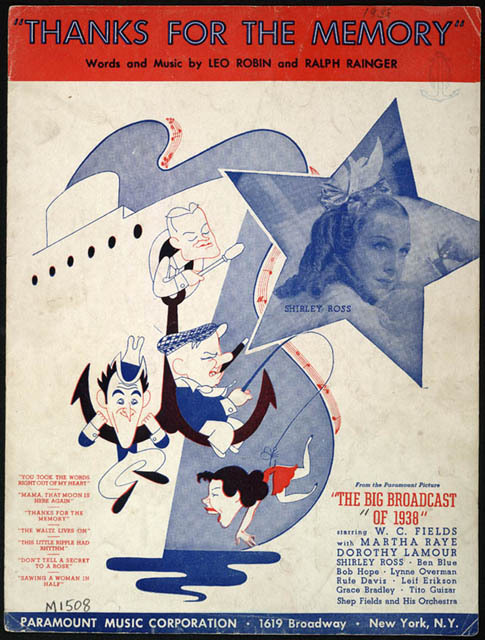 In the early 1930s, Harry Warren was the songwriter that helped to shape the musicals in Hollywood. However, by the late 1930s it was the team of Leo Robin and Ralph Rainger that were writing some of the most memorable songs of the day. Leo Robin was born on April 6, 1900 in Pittsburgh, Pennsylvania. He studied at the University of Pittsburgh Law School and Carnegie Tech’s drama school. After graduation, he worked as a publicity agent, a newspaper reporter and even as a social worker. However, his first ambition was to be a playwright and in the early 1920’s he moved to New York City to achieve this goal. In New York, Robin began writing lyrics for songs by various composers. 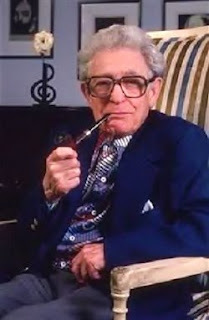 His first success came with the song “Looking Around”, with composer Richard Myers. Robin soon turned his attention to the Broadway stage and with composers like Vincent Youmans, produced Just Fancy, Alley Oop and Hit the Deck. 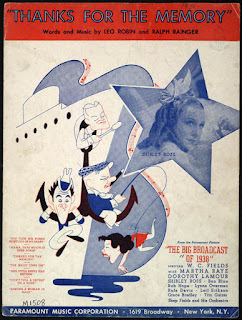 In 1930, Robin had another hit song featured in the Broadway revue Tattle Tales, entitled “I'll Take an Option on You”, composed by Ralph Rainger. This was the beginning of a great Robin and Rainger team. Under contract with Paramount Studios, Robin and Rainger moved to Hollywood and produced some of the most memorable film scores from the era, including She Done Him Wrong, She Loves Me Not, Shoot the Works, Here is My Heart, The Big Broadcast of 1937, The Big Broadcast of 1938, Waikiki Wedding, Give Me A Sailor and Paris Honeymoon. 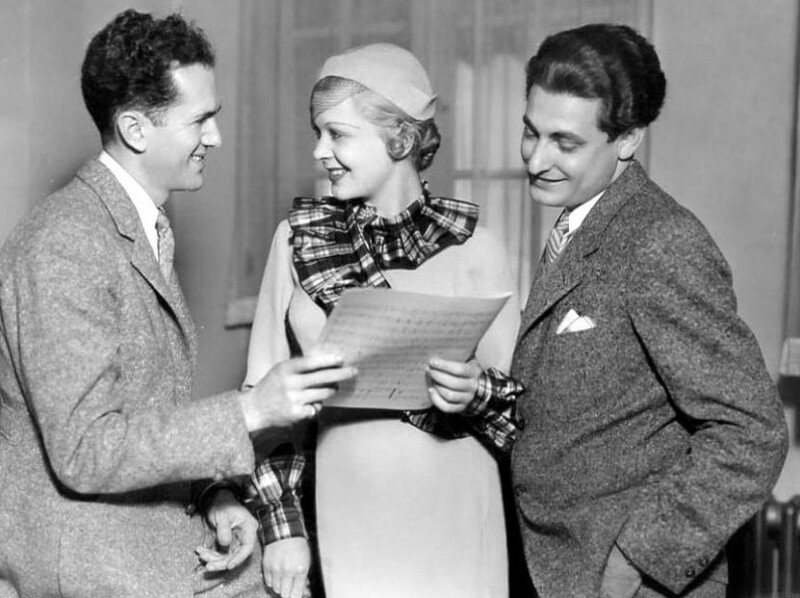 In 1939, Robin and Rainger left Paramount and signed with 20th Century Fox, where they continued to contribute songs to films. Robin and Rainger wrote some of the greatest standards from the era, including “Please”, “I Have to Have You”, “Beyond the Blue Horizon”, “June in January”, “I Don’t Want to Make History, I Just Want to Make Love”, “A Rhyme for Love”, “Here Lies Love”, “Give Me Liberty or Give Me Love”, “With Every Breath I Take”, “Here’s Love in Your Eye” and “Blue Hawaii.” In 1938, the pair received the Academy Award for Best Song for “Thanks For the Memory”. After Rainger’s death in 1942, Robin worked with many other composers including Jerome Kern (“In Love In Vain,”), Arthur Schwartz (“A Gal in Calico,” “A Rainy Night in Rio,” “Oh But I Do”) Harry Warren (“The Lady in the Tutti Frutti Hat,” “Paducah,” “Zing A Little Zong,”), Harold Arlen (“Hooray for Love,” “For Every Man There’s a Woman”). In 1949 Robin collaborated with July Styne writing the score for the Broadway Musical Gentlemen Prefer Blondes. The production starred Carol Channing and included the songs “Bye Bye, Baby,” “A Little Girl from Little Rock,” and, of course, “Diamonds are a Girl’s Best Friend.” A few years later, Marilyn Monroe would reprise the role in the 1953 movie version. In the 1950’s, Robin collaborated with Sigmund Romberg on the Broadway musical The Girl in Pink Tights. While in production, Romberg died and the musical was not completed until 1954. Robin’s final collaboration came in 1955 for the film musical My Sister Eileen, another collaboration with Jule Styne. After the score was completed, Robin entered retirement. Great tribute and you are right, his lyrics will live on forever.